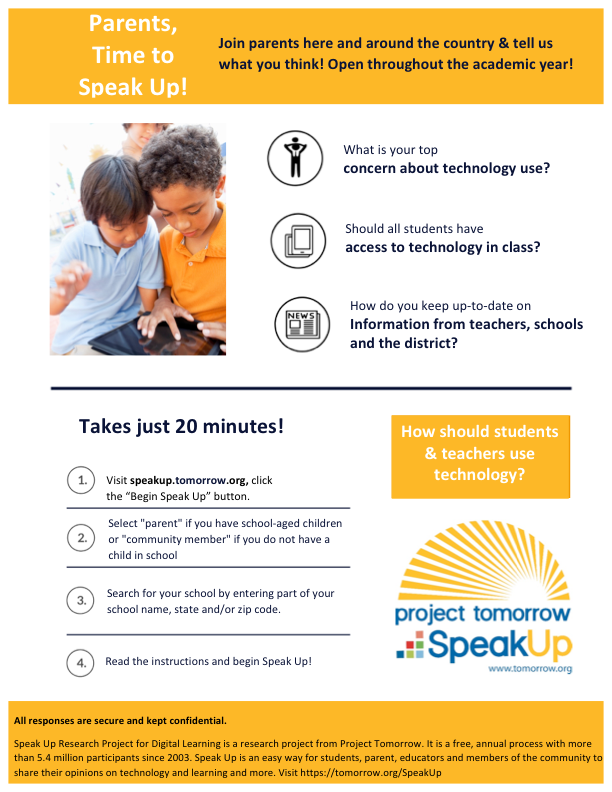 This informational flyer is a great way to create awareness about Speak Up to parents of your K-12 students. The flyer explains the background of the Speak Up project and the importance of parent participation. Also provides simple step by steps instructions for parents to access the online questions. Flyer can be edited to include your school/district specific information. On the back of the flyer, provide the Spanish translation.